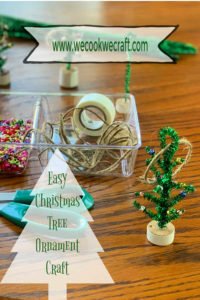 Looking for a super easy and fun Christmas craft for this weekend? These make great teacher and grandparents gifts! Christmas Tree Ornament by We Cook We Craft.